Hundreds of students at Kibirichia Boys High School in Meru county on Sunday caused a scene to protest the suspension of their colleagues who had demanded food leftovers last Friday night. 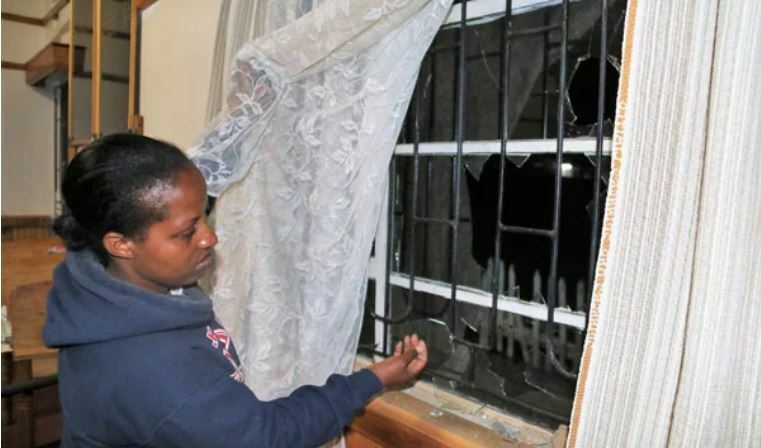 The over 500 boys gathered soon after supper, broke classrooms and administration block window panes before storming out of the school at around 7:30 pm. About 100 students remained in school. The students were protesting the suspension of 17 others who stormed the school kitchen on Friday night to demand rice leftovers after a parents’ meeting. Buuri East Sub County Director of Education Madina Guyo said there had been tension after students claimed that they had been denied the leftovers. She confirmed 17 students were suspended and three others arrested after sneaking out of the institution and returning with cigarettes and other drugs. The official visited the school and appealed to parents to send the students back to school. Following the protest, traders in Kibirichia, Kiirua, and other nearby trading centres quickly closed down their business in fear of looting. said they had handed over all the leftovers to the Form Four and Form Three students, and did not understand why they protested.